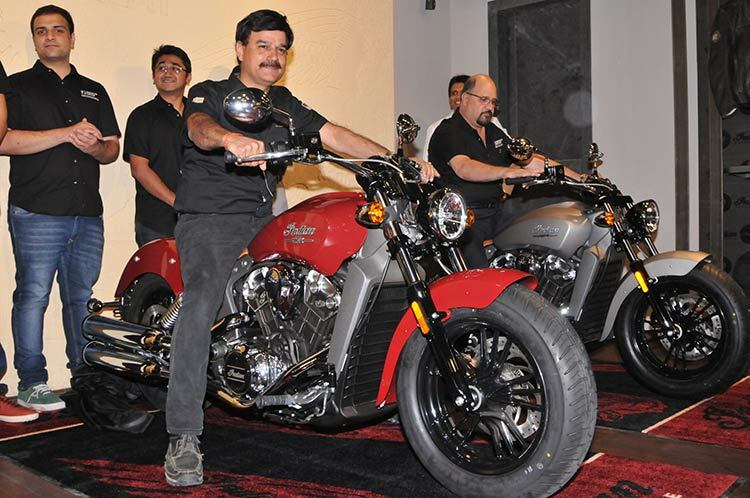 Bringing the iconic Indian Motorcycle® brand to Deccan, Polaris India Pvt. Ltd., a wholly owned subsidiary of Polaris Industries Inc., the world leader in Off-Road and All-Terrain Vehicles, today announced the opening up of its 4th dealership in India at Hyderabad after Delhi NCR, Bengaluru and Chennai. Located in the upmarket Jubilee Hills Area, the dealership will cater to Telangana and Andhra Pradesh. The new showroom was dedicated to the City of Pearls by Mr. Pankaj Dubey, Managing Director of Polaris India Pvt. Ltd. and Mr. Yashwant Jhabakh, Managing Director, Mahavir Motors, here in a glittering ceremony. The immense growth of IT related and various other industries is fuelling the aspiration of people in Hyderabad, who want products which could compliment their lifestyle. There is a great deal of excitement among bike lovers here for Indian Motorcycle® and we are confident that this dealership will cater to their requirements and delight them with our bespoke and popular products like the Indian® Scout™ that is priced at Rs 12,21,322 ex-showroom Hyderabad. Through this dealership we will also manage inquiries on other models like the Indian Chief Classic, Indian Chief Vintage and Indian Roadmaster which have generated a lot of interest. We will also be fulfilling the long-standing demand of a sales and service facility in Hyderabad through this dealership. Located in the up market Jubilee Hills area at Aruna Arcade, Road No. 1, opposite KBR Park; the showroom will display the entire range of Indian Motorcycle® currently available in the Indian market such as the Indian® Roadmaster™, Indian® Chief Classic, Indian® Chief Vintage, Indian® Chieftain, Indian® Chief Dark Horse® and Indian® Scout™. For the Indian Motorcycle® aficionados, the Indian Motorcycle® merchandise which includes apparels and accessories, will also be up for grabs at this dealership. The state-of-the-art dealership will have house-trained service support staff offering global standards of after-sales and service support adding to the overall experience of owning an Indian Motorcycle®. Hyderabad is showing a positive growth curve in different sectors including automobiles. The growth of Information Technology has given rise to an upwardly mobile class which has high aspiration level and wants nothing but the best. I am sure that through this dealership we will exceed the expectations of our customers every single time whether it be Sales, Service or Spares. said Mr. Yashwant Jhabakh, Dealer, Indian Motorcycle®, Hyderabad.